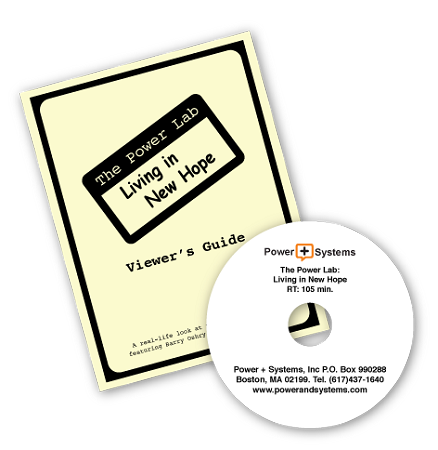 This award-winning, feature-length documentary follows the lives of 19 executives, managers, educators and consultants who came to The Power Lab to enhance their competency as leaders. They were "born" into one of three classes within the Society of New Hope, either as members of the Elite, the Middles, or the Immigrants. "There was no script; what you see is the emerging drama of real people in real time struggling to find their voices, their power, and their leadership. This is gripping drama. There are power moves and counter-moves, confrontations across class lines and within classes. Commentary by Barry Oshry provides the viewer with rare glimpses and valuable insights into the dynamics of system life whether in the organization, the university, the community or the nation."